If you want to be as healthy as possible, you need to be able to sleep at least 7-8 hours a night. For many people in Powell and the greater Columbus area, problems like sleep apnea and chronic snoring make this all but impossible, leading to groggy mornings and long days filled with exhaustion. Our own Dr. Shelley Shults is board-certified by the American Board of Dental Sleep Medicine (ABDSM) and is a diplomate of the American Academy of Dental Sleep Medicine (AADSM), meaning she has an understanding of medical and dental treatments for obstructive sleep apnea. She has over 300 Continuing Education hours in Dental Sleep Medicine and Sleep Apnea Management. She can recognize maximum medical improvement has been achieved with oral appliance therapy and minimize side effects because of our calibration sleep testing alongside treatment. To learn more about why the key to a quality night’s rest might be found at your dentist’s office, continue reading below. Why Choose Powell Dental Group/Powell Dental Sleep Solutions for Sleep Apnea Treatment? Quadruple board certified as an RN, CNP, DDS, and by the American Board of Dental Sleep Medicine. Highest technical skill, in-depth knowledge, and professional judgment to provide oral appliance care. 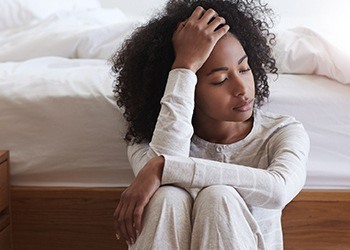 Sleep apnea is a condition that affects more than 20 million Americans in which a person experiences brief but frequent lapses in breathing during sleep. Most often, this is caused by the airway becoming obstructed by the soft tissues in the mouth and throat, which is actually called obstructive sleep apnea (OSA). People with this condition can stop breathing up to 100 times every hour, greatly fracturing their sleep and preventing them from completing a normal sleep cycle. Chronic exhaustion, which drastically lowers quality of life and makes a person 3X more likely to be in a motor vehicle accident. Loud snoring, which can disturb loved ones, depriving them of restorative sleep, and straining relationships. Weight gain, due to the fact that sleep deprivation throws off the balance of the hormones that cause a person to feel hungry and know when they’re full. An increased risk of heart attack and stroke because hypertension is a common side effect of sleep apnea. Other risks associated with sleep apnea: High blood pressure, heart attacks, stroke, blood clots, dementia/Alzheimer’s, hearing loss, ringing in the ears, sore throats, morning headaches, sleep onset insomnia and sleep maintenance insomnia, grinding of teeth, jaw pain, cancers related to inflammation, atrial fibrillation, obesity, disruption of sleep stages, and lowered threshold for seizures. Snoring is caused by loose, overly relaxed tissues in the upper airway vibrating as patients breathe during sleep. The sound it creates can originate from the back of the throat and tongue, the uvula and soft palate, or even some kind of combination between the two areas. Whatever the circumstances may be, it indicates that air is struggling to pass properly through the patient’s airway. It may also indicate the presence of untreated obstructive sleep apnea (OSA). 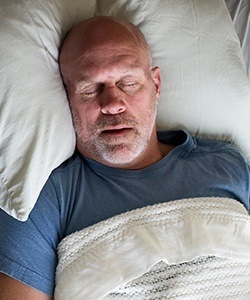 While snoring is not necessarily a sure sign of sleep apnea – only around half of excessive snorers are positively diagnosed with this health condition – it is considered a worrisome precursor to Upper Airway Resistance Syndrome (UARS) that may one day fully develop into OSA. That is why Dr. Shults may recommend oral appliance therapy for chronic snorers as well as OSA sufferers. The most commonly prescribed treatment for sleep apnea is CPAP therapy, in which a patient wears a mask to bed that is connected by a hose to an air pump. This helps a patient breathe throughout the night by using a steady stream of oxygen to force the throat open. While effective, as you can imagine, many patients find this approach extremely uncomfortable, and the machine can be quite noisy as well, disturbing anyone sleeping near a patient. One effective alternative is called oral appliance therapy. 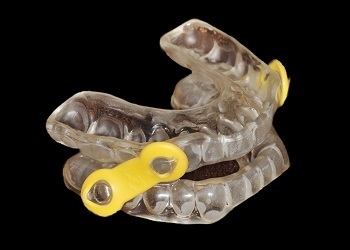 Dr. Shults simply designs a mouthpiece for a patient to wear to bed that gently shifts their lower jaw forward, and this prevents the airway from ever becoming fully cut off during the night. 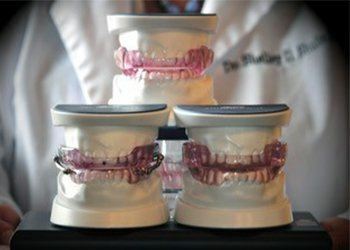 Appliances can fit over the teeth like a sports mouthguard, or she is able to make a customized oral appliance that fits just like the denture for patients who normally would wear dentures. In any case, this treatment has been shown to greatly reduce both snoring and apnea symptoms, so patients can sleep peacefully and wake up filled with energy. It is important that a qualified dental sleep expert is the provider of your oral appliance therapy, as they will conduct the proper testing through calibration studies. Without these important steps, your device may quiet snoring without treating sleep apnea and could actually worsen the disease without proper management. Qualified practitioners are educated in minimizing or treating side effects. 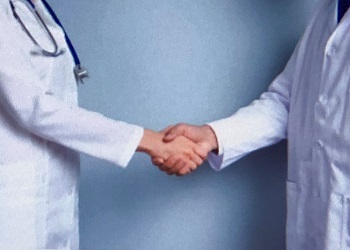 They are additionally skilled in guiding combination therapy with multiple modalities when required and work closely with your medical team. While snoring is one of the most common symptoms of sleep apnea, not everyone who snores has the condition, but that doesn’t make it any less annoying! Snoring can rob loved ones of much needed sleep, leading to strained relationships and groggy mornings for all. Thankfully, Dr. Shults uses the Airway Metrics system that can determine the most effective position of your jaw prior to fabricating an appliance. That way the sleep appliance is specifically designed to significantly decrease or stop snoring. These keep the airway open and unobstructed, ensuring that everyone enjoys a quiet and restful night. Dr. Shults works closely with a network of Ohio’s top sleep physicians in order to provide the highest quality care for her patients. With them, she can help someone get the sleep testing and diagnosis they need to start resting better as soon as possible. Thanks to this partnership, the process of getting your sleep apnea under control will be seamless from beginning to end, and you’re guaranteed to get a treatment that is just as comfortable as it is effective.